Wedding season is upon us! Whether you’re a beautiful bride, a classy bridesmaid or a happy guest, these styles are sure to put you in the wedding mood. Click on the thumbnails below to see an enlarged photo. Strapless mermaid gown with a slight sweetheart neckline. Chantilly lace with beaded neckline, scalloped hemline. Casa di Castronovo in Rockford, Ill.
Jade Couture chiffon and lace gown. Comes with optional tapered straps and lace shrug, not shown. Sara Grace Co., Rockford, Ill.
Jasmine Couture lace fit and flare gown with sweetheart bodice. Tiffany train. Sara Grace Co., Rockford, Ill. 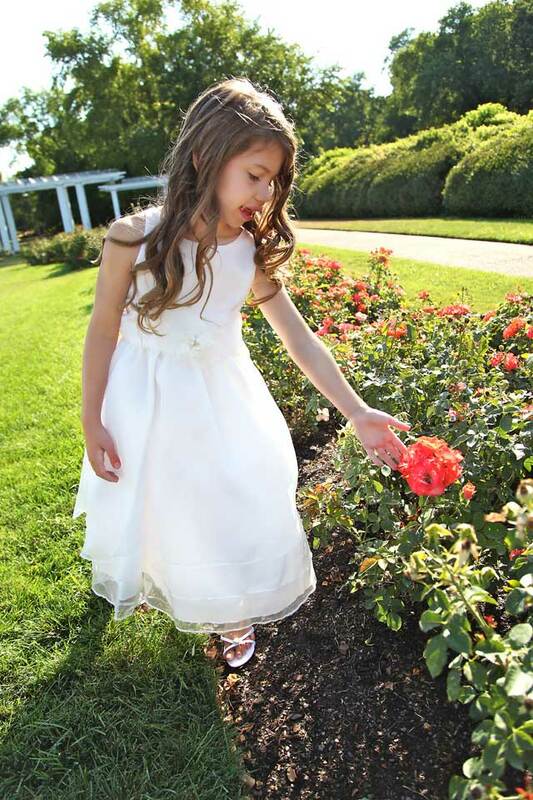 Flower girl Emily wears a sleevless dress with satin bodice and crystal sheer organza overlay skirt. The satin waist sash with embroidery and beaded detail pulls in the waist and makes for a full bow. A sophicated dress for all occasions. Casa di Castronovo in Rockford, Ill.
San Patrick fit and flare style. Tulle overlay, trimmed with lace. Brandis Bridal, New Glarus, Wis.
San Patrick fit & flare with ruffled skirt. Bodice is ruched for a flattering fit. Brandis Bridal, New Glarus, Wis. This entry was posted on Thursday, July 26th, 2012 at 11:59 am	and is filed under Northwest Woman. You can follow any responses to this entry through the RSS 2.0 feed. Both comments and pings are currently closed.